We are very blessed to be supported by faithful individuals who believe in, and give sacrificially towards, what we do. There are a variety of ways that you can support our organization, many of them unique and exciting, but they do demand faith. We can’t do what we do without support. But support doesn’t come solely by financial means, though financial support does help. It may sound curious to hear “we prefer cash” from an organization, but truthfully, there are things that we need cash for, primarily because of the geographical distance between the headquarters of our organization in Tennessee, and the regions we are involved in helping. Finances don’t have to be utilized if we have resources available, but those resources must be economically feasible to transfer to where we need them. If someone wanted to collect bicycles and have us distribute them to the neediest people we know, we could, but it would probably cost you the bicycle, plus $50 for transport of the bicycle. At that point, it may just be easier to give $50, and we may be able to buy two bicycles for that price. We have to weigh out what is better—sending resources or cash to purchase resources there. Most of the time, cash will go further. If there is a need for a building in Kenya, and our skilled builders live in Uganda, they can be sent to help. Though their labor (the most valuable resource for such a task) may be voluntary, we would still need cash for their transport, meals, materials, and more. That cannot be shipped in a container, so again, finances are necessary. Something that people have a hard time supporting is usually what we need done the most. For instance, if we need to experiment with innovative technology to be applied in the Philippines, the Philippines cannot be our ‘testing ground.’ If the project fails, and the public is watching, we will not be trusted to implement anything ‘new’ again. In our culture (which bases judgment on whether one is guilty or innocent), if one tried their best, but had a faulty design, the design is blamed, and not the individual. But in many other cultures in the world (which bases judgment on whether a person maintains honor or creates shame), they would be honored to experience a new innovation, but if it failed, they are now shamed, as are we. Understanding these cultural particularities, and the power of demonstration, we know we have to practice first here if we want to have something of quality demonstrated there. But funding for these projects take faith. Most people would rather give towards a well-digging project in Uganda, even if the well stopped working months after it was dug. 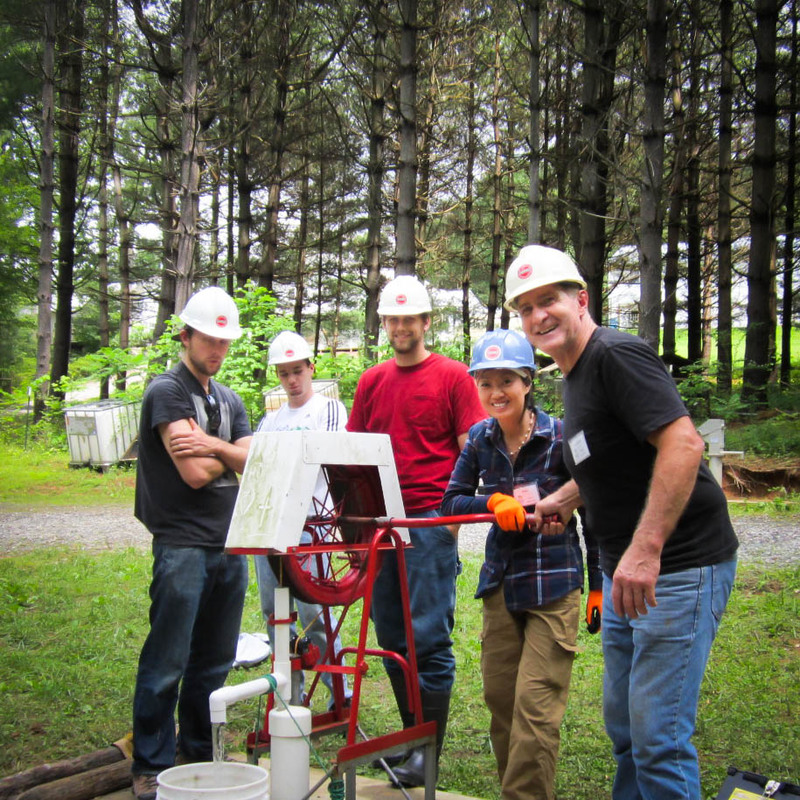 We would prefer to dig a well here, learning the process, and developing individuals who could serve as trouble-shooters when problems arise, so that we are able to ensure that a project is successfully implemented in the long-term. For this reason, we are always grateful for the financial donations extended to us. If you have a particular need that you want your funds to go toward, we will guarantee its use for that need. Sometimes it is cheaper and easier to collect resources and bring them with us abroad, provided that there is enough cash to pay fees for transport. People do need shoes, schools do need notebooks and pens, children do need toothbrushes. Supporters could even help us by organizing these donations. We have plenty of needs to meet, and a limited number of people to get it there (along with an increasing number of airlines charging fees for multiple checked bags). Because we are a non-profit organization, we are not taxed for the import of these goods. But we understand resources not just as commodities, but people. We believe that the human being is actually the most valuable resource. Fortunately, we know a lot of really generous people. 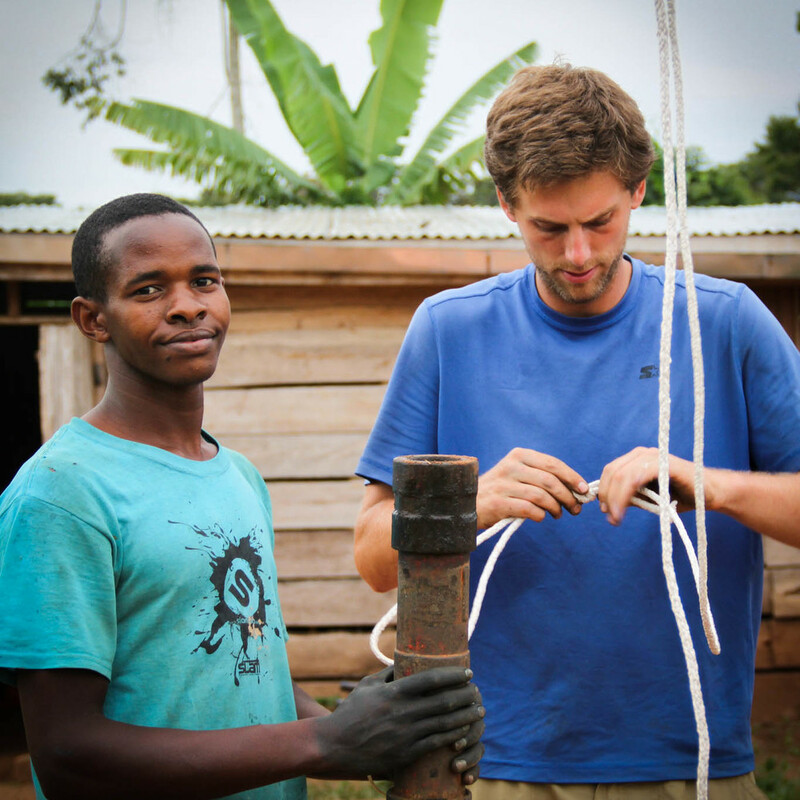 We have a supporter who utilized his skill as a welder to make a prototype machine for compressed earth block (a building material we used in the building of our triplex in Uganda). This generous gift (of skill and finances) allowed men to begin working and experimenting with the machine before they implemented it in Uganda. What a gift! Supporters can help us get in contact with volunteers, or if they live close enough, volunteer time themselves. Supporters can volunteer time helping us run our youth community service organization (SLAM). They can help in our garden, or our community kitchen. Our garden includes more than saving money on groceries. It helps us to practice innovative growing techniques that develop our skills. We videotape our methods, sending it abroad for educational materials given to people who are trying to enhance their own food production. The garden needs help harvesting produce specifically because of our appropriate technology approach. We harvest crop with rakes and hoes, and not large farm equipment. 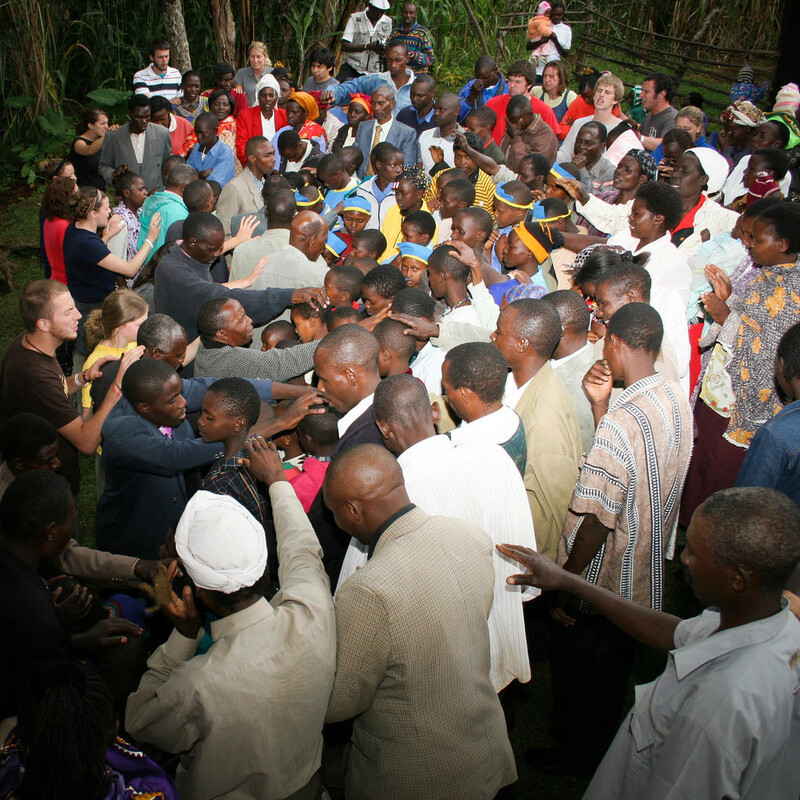 One’s proximity to our organization can offer all sorts of opportunities for support. Supporters can help by utilizing our services. We have multiple fundraisers within our ministry that we can offer people, directing it towards the causes we are involved with. Supporters can help us with projects that educate and make people more aware. Perhaps a supporter is a grant writer who could help us with their much-needed skill. Perhaps a supporter is a filmmaker who could edit some of our footage to produce a documentary about a particular systemic issue in the world. People can support us with their own skill set. One wonderful supporter has a printing business, and gives us her rate to fix all of our newsletters. Other supporters can offer advisory capacities. Sometimes we need to do certain things but haven’t gained the expertise to know if we are doing them well. Being able to put a phone call in to one of our supporters who have made themselves available to us is an incredible benefit. This has happened with anything from a contractor giving us building advice, to learning about business start-ups. We also invite you to help support us through prayer. But the prayer that the bible informs us of is a prayer that involves your person, not just requests for God to move. Abraham Joshua Heschel said that he “prayed with his legs moving,” meaning that he prayed, and at the same time, ensured that God had someone to use to enact such words. 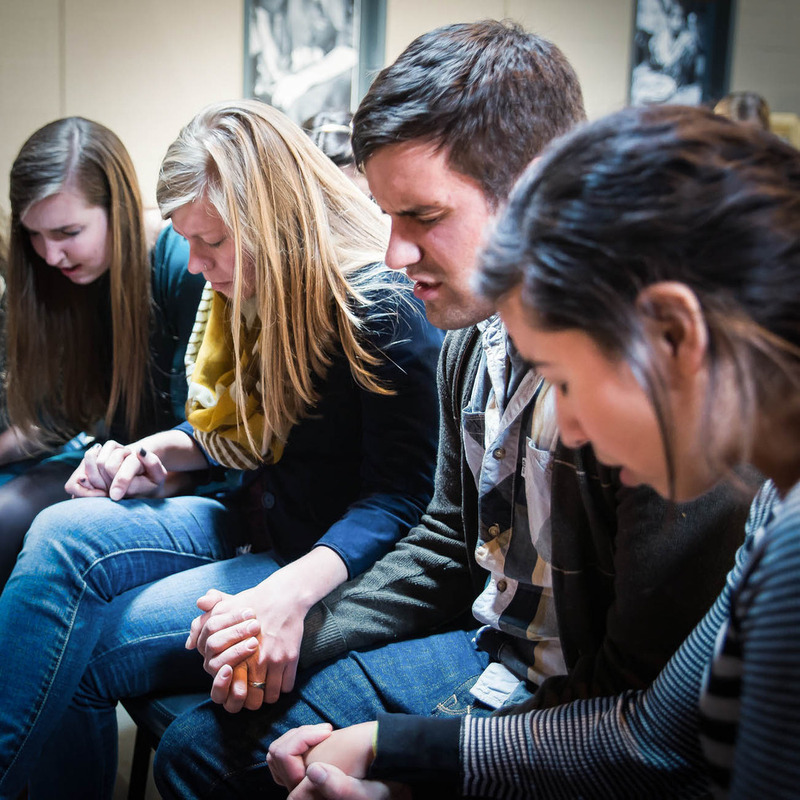 This is what we invite you to do!What if someone asked Jesus to pray for them and he said, “I will. See you later!” This is not the picture we get of Jesus. Instead, he is active in making himself available to the Father to be used to meet the needs that were presented to him. We invite you to do the same. Please do not just pray “God, do something for them,” but rather “God, use them, and help me to see how I can make myself available to assist in the needs they are trying to meet.”Learning to pray (and to live) in such a way that God can use you, whether it is through your financials, your resources, or your own person, is an incredible and blessed journey that we have submitted to. If you support us like this, please know that you are not just a benefactor; you are participating in what we believe to be God’s work in the world.There are a number of organizations that you could easily support. When you believe in us enough to extend yourself in our direction, we are incredibly grateful. We promise to do our best, and to be honest and open with you in how we utilize your resources, when it went towards, and more. We know that God is watching us, and that utmost care and concern must be given towards keeping accurate financial records, and making the most of each penny we receive. I have been very impressed with the way G.O.D. Intl. has worked at finding ways to help those less fortunate overcome and improve their living situation through better building techniques, utilizing what is available and more practical for them. Hearing of the potential benefits that had been researched by the G.O.D. Intl. East Africa team, I was excited to help their cause by building and donating a compressed earth block (CEB) machine for them a few years ago (from plans made available by the team). I was even able to spend 5 weeks in Uganda with a small team in 2012 and see the results of that effort come to life as the first blocks were produced by the Ugandans and new land developed. My wife and I have been giving on a monthly basis to the ministry of G.O.D. Intl. for nearly 9 years. Because we receive regular updates on what G.O.D. Intl is doing, have visited the ministry’s headquarters, and also traveled with a team on a work trip to El Salvador in 2012, we have seen the fruit of our giving. We’ve supported other organizations in the past, but once the check was in the mail, we had no way of knowing how the funds were used. But we know the leadership and many of the people in this organization and we have confidence in their discretion to use the funds in a way that maximizes benefit to those they serve.